Blinds vertical bring a luxurious elegance to any décor, they are a thoughtful approach to selecting colours for your home and are available made to measure, or from our extensive range of stock. Window dressing is the finishing touches to every room and with blinds vertical we can tailor them to suit each home or business. With our high standard of workmanship and dedication to detail, it means you can relax in the knowledge that your handmade blinds will exceed your expectations. From small windows to patio doors, kitchens to bathrooms, we have the ideal window dressing solution for you. Their versatility and durability make them the ideal choice for both the home and the office and even the conference hall, giving that perfect and stylish look. So if you are interested in transforming and controlling the amount of incoming light into your rooms you can do so by tilting the vertical slats, for complete privacy, but when closed it's the ultimate escape to helping you unwind from the stresses of the day we all so often experience and perhaps most importantly they are ideal for protecting your furniture as well. Find everything you need to decorate and improve your windows, order from our fast, reliable and secure service online today, we not only provide blinds vertical but all types, including the most popular, of roller, venetian and blackout blinds too. 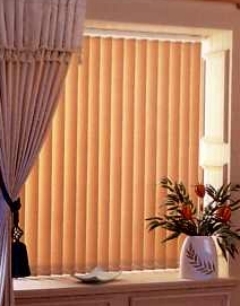 Vertical blinds can fit snugly in bay windows, with easy fitting and are washable. You'll also find that all our blinds give a trouble free operation and come in smart new colours to suit the ornamentation you desire. We offer fine quality products that are made to measure by skilful staff and sized accordingly as well as providing long lasting durability. 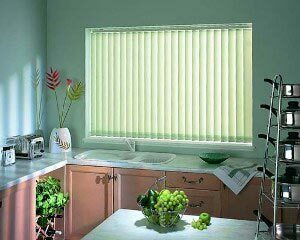 If our sales are any indication, blinds are quickly becoming the most popular form of home decorating as they bring warmth and cheer to any house. You not only can convert the sunlight into beautiful light shading to your home, but the effect can be quite stunning as it will give off a fabulous kaleidoscopic result of different colours throughout your room. You may also be interested in browsing our other pages that offer all types of exquisitely designed and stylish curtains and accessories, including made-to-measure drapery items, all available in a wide variety of both designs and qualities to give you fresh ideas to enhance your home and making it more beautiful. So whether you are looking for curtains or blinds vertical, Nets2Go bring to you the finest you'll find anywhere online.